Integrative dentistry is a new wave of dentistry that has been growing steadily. The 21st century has given modern day dentists access to many high tech tools that all seek to make dentistry both affordable, comfortable, and efficient. Plenty of scientific research has been conducted to prove that statement true. We know this information, yet many dentists are still advocating the use of non-biocompatible materials such as amalgam in their approach to dentistry. Influencing the immune system in a positive manner. Nutritional support for maintaining proper oral health. Energy imbalances to the whole body. Integrative dentistry can be categorized into 3 different names: conscious dentistry, biological dentistry, or holistic dentistry. They all have the same approach and ideals to dentistry. They can be used interchangeably. It’s also called “conscious dentistry” because it geos beyond just drilling and filling. Each treatment is conscious of how that treatment will affect the immune system, or how the treatment will tamper with the jaw. Will the treatment seek to enhance the overall health of an individual? Or will the long-term results seek to hurt the individual? These are the types of questions that integrative dentists run through their head as they recommend the best plan of treatment specific to your case. 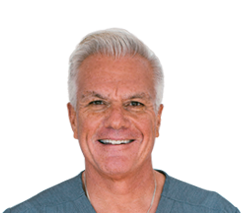 Dr. David Villarreal has been providing his holistic, integrative dentistry services to residents of Newbury Park, Thousand Oaks, and other surrounding cities in California for over a decade. He learned his trade from Dr. Hal Huggins – an instrumental figure in the world of holistic dentistry.